Space Furniture launches the brand new Poliform Wardrobe Gallery on Level 4 of the Glass Block. A comprehensive showcase of wardrobe systems is on display inclulding the new Senzafine Island chest of drawers which is a customisable stand alone piece that completes and enhances the value of the wardrobe environment, Skin wardrobe system which is characterised by the peculiar door working and Senzafine walk-in wardrobe in an impressive U-shape configuration. New materials, finishes and colours like Techno leather, highly reflective glass doors, Prussia - the latest midnight blue shade available in matt lacquer are also being introduced. Clients are able to experience the different opening mechanisms, touch and feel the materials, and discover the variety of internal equipment and accessories available, all at one gallery. 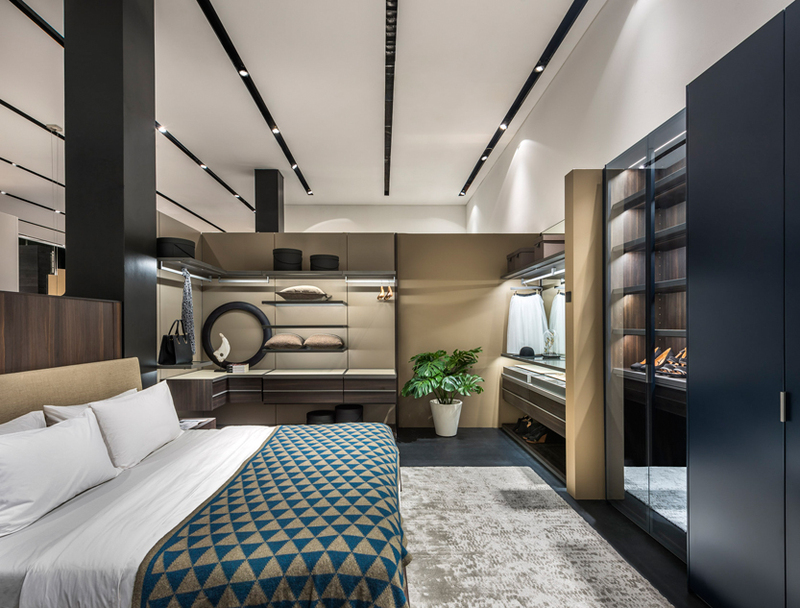 Space and Poliform's successful partnership has resulted in countless wardrobe system fit outs for high profile luxury condominium projects with Singapore's and Malaysia's leading developers. 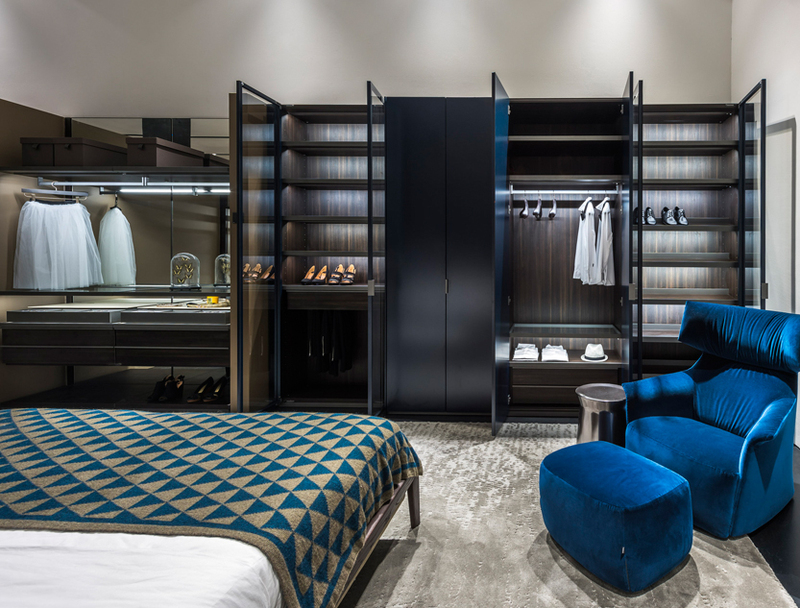 The launch of the Poliform Wardrobe Gallery and together with Space's team of system furniture consultants will ensure that residential projects of varying scale from a single landed property to hundreds of units in a luxury condominium are being catered for. Make an appointment via email on info@spacefurniture.com.sg for a dedicated walk-through of the Poliform Wardrobe Gallery by a wardrobe specialist or simply visit us during showroom operational hours.